Throughout its history, the Museu de Arte Moderna do Rio de Janeiro (MAMRio) has been mindful of its role within the society for which it was created. As a Carioca institution par excellence, it has consistently participated in Brazilian art’s key moments, including those involving Rio. In addition to being a space for creating and reflecting on art and the city, MAMRio is also part of a broader history: Located in one of modern Brazilian architecture’s most stunning buildings and overlooking one of the world’s most famous postcard views, this museum successfully blends everyday activities with the beauty of art and nature. From the inception of this project, architect Affonso Eduardo Reidy was intent on bequeathing to the city an institution that is a monument to the modern idea of a Brazil in permanent transformation. Using simultaneously Brazilian and universal architecture, Reidy transformed MAMRio into a museum that showcases not only Rio, but also its visitors. For more than 50 years, this building has been a landmark for architects and tourists from every corner of the globe. MAMRio’s internationally-renowned collection features more than 15,000 works (with nearly 7,000 loaned from the Gilberto Chateaubriand Collection) and 1,500 images by Brazilian and foreign photographers from the Joaquim Paiva Collection. 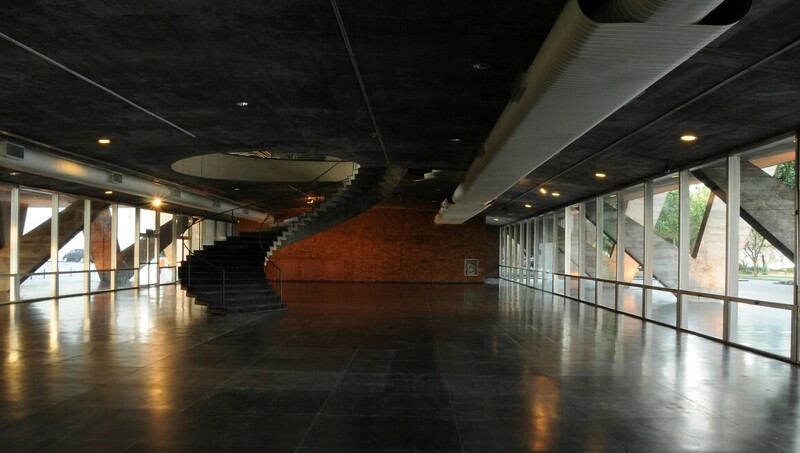 Its Cinemateca, one of the most important in Latin America, holds more than 7,400 titles. MAMRio’s impressive documents collection, which specialises in visual arts and cinema, also attests to the museum’s grandiosity and relevance. Museu de Arte Moderna do Rio de Janeiro Collection. Acquired via Edital Artes Visuais da Petrobras. Photo: Fábio Ghivelder.